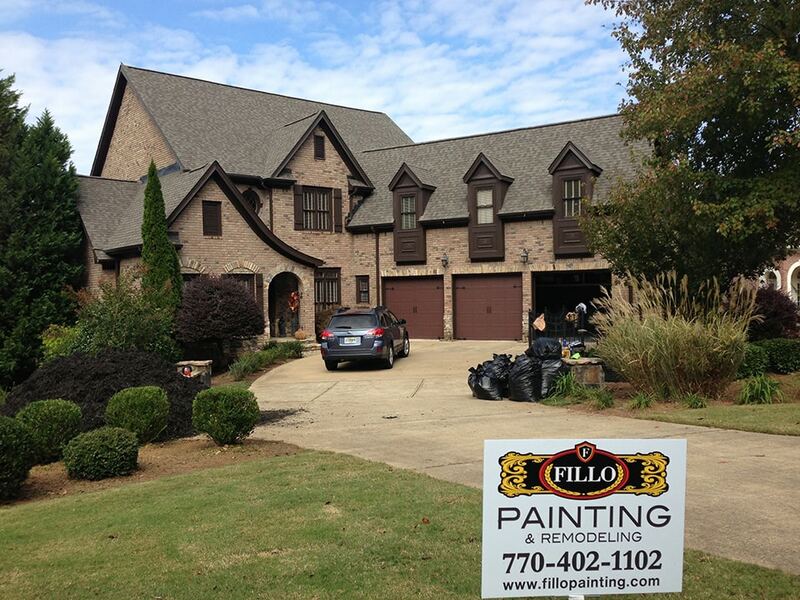 At Fillo Painting in Woodstock and Canton, GA, we pride ourselves on the high quality of our exterior house painting services. This is because we take the time to do the job right. 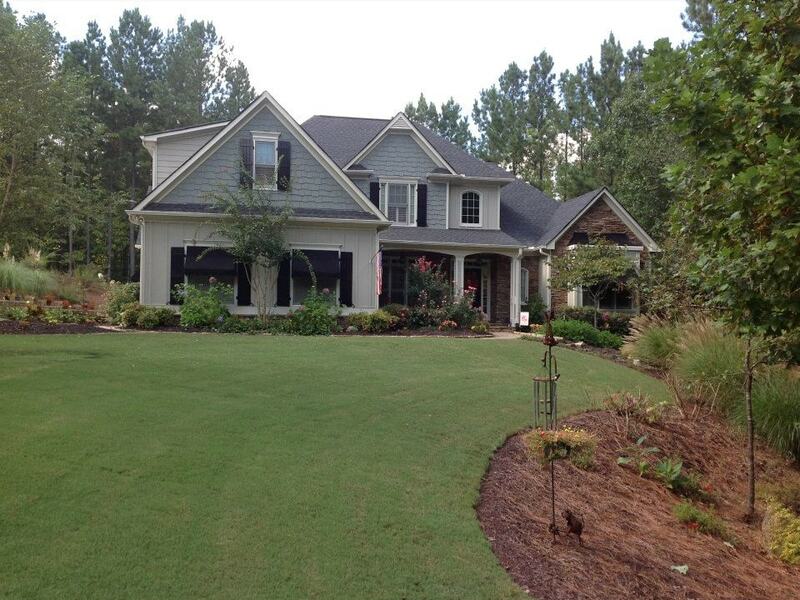 We pressure wash your home to ensure that all dirt, mildew, and mold is removed. A good power wash also helps knock off any loose chipping or peeling paint. Once the surface is clean and dry, we prep the entire area by scraping any loose or flaking paint, sanding down rough areas, making repairs to stucco and rotten wood, and priming where needed. 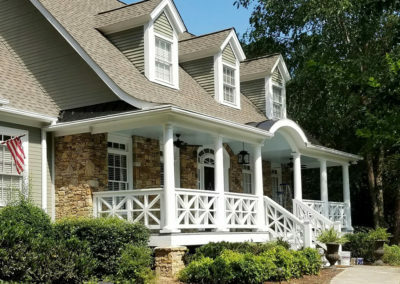 If the wood on your home is in poor shape, the skilled carpenters we keep on staff can replace any rotten or damaged wood trim around windows and doors, wood siding around your home, fascia boards, and soffits to make sure your exterior paint job lasts. 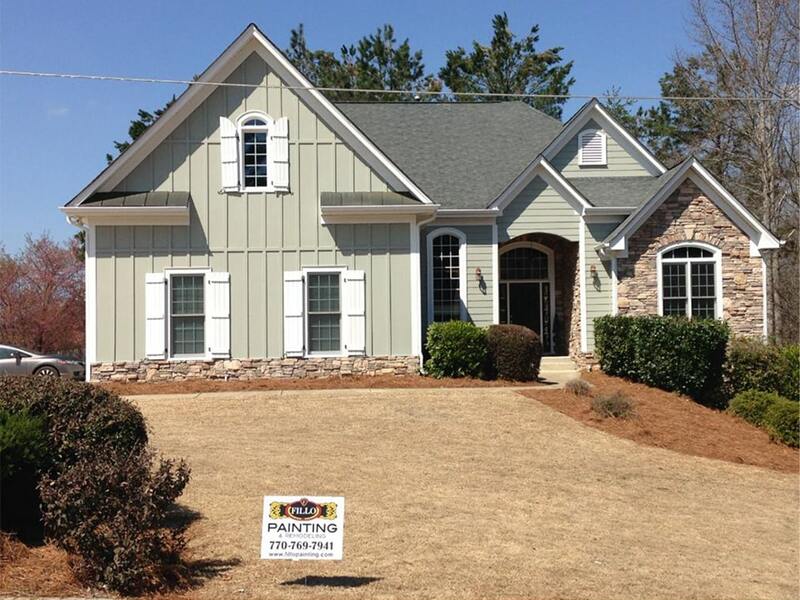 After all, exterior home painting is more than just slapping on a coat of paint. 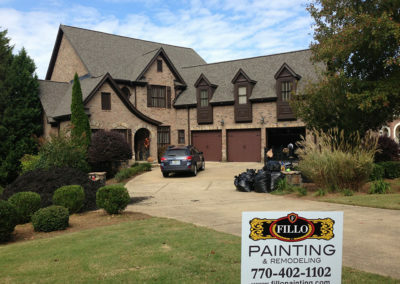 The paint job on the outside of your home makes a huge impact on the whole neighborhood. 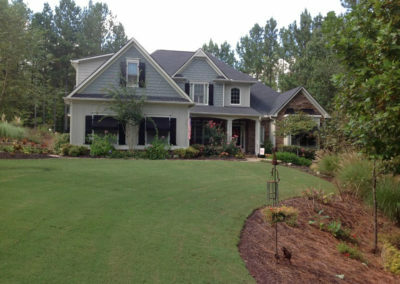 A home with great curb appeal adds value. 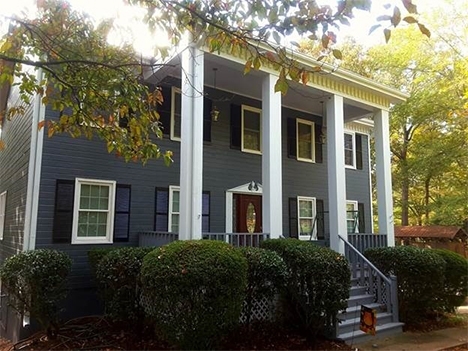 Not only does it make your home feel clean and new, but it also beautifies the neighborhood. 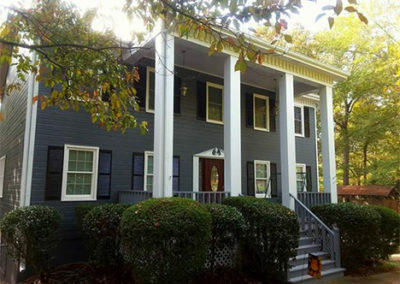 Well-maintained homes attract great residents. Good residents make safer neighborhoods. 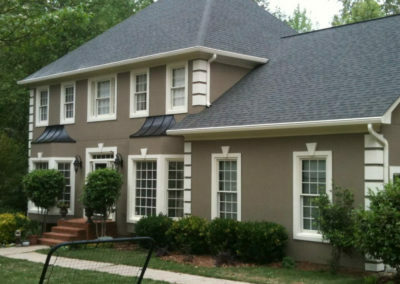 This can only be achieved with high quality paint and excellent workmanship. 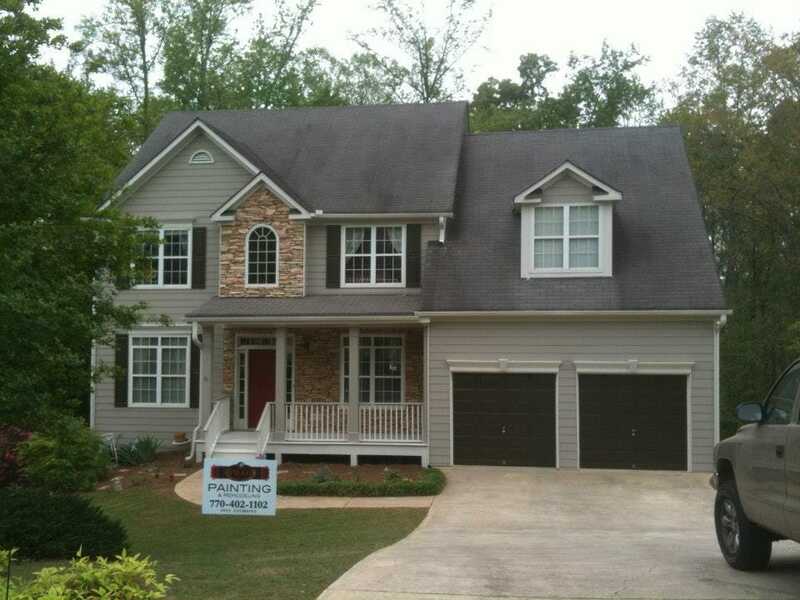 We believe that quality painting needs to be left in good, trusted hands. Hands that know how to hold a paintbrush because, really, it’s an art! It takes a lot of training and practice to develop the skills necessary to do a superior job. We offer exactly that. 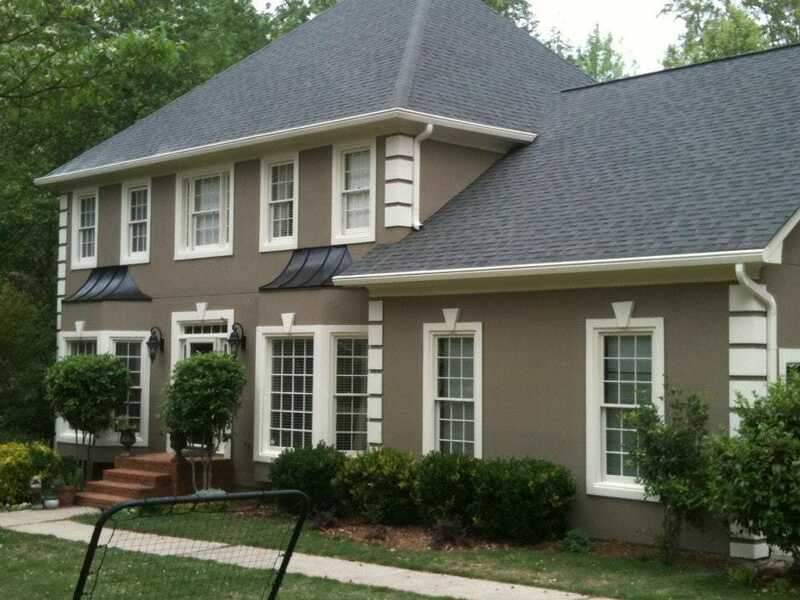 Our residential painters have a lot of experience painting all kinds of homes with different exteriors. 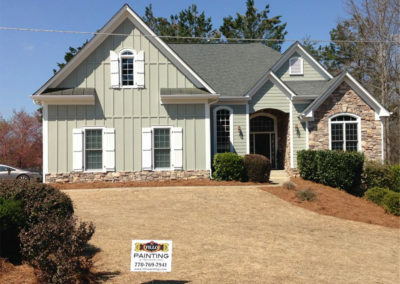 We do work all over the Atlanta area and are proud to have worked at homes in many cities such as Atlanta, Marietta, Johns Creek, Alpharetta, Kennesaw, and Roswell, GA.
We’re so sure of the quality of our home exterior painting that we offer a two-year warranty on labor, and a five-year warranty on the materials themselves. 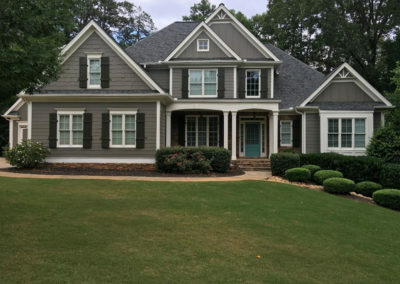 If you were to have any problems, we are happy to come right out for an inspection and do everything we can to ensure your total satisfaction with our work. 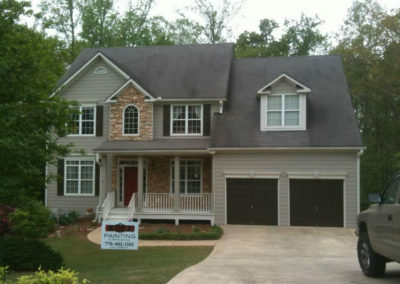 We are a painting company that puts our clients’ needs at the forefront. The job is not done until you are completely happy with the finished product. 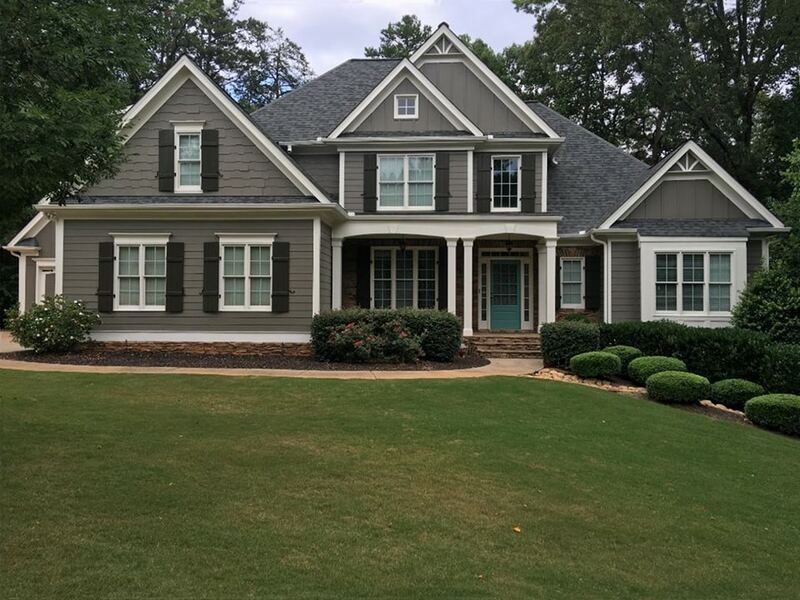 If you have any questions or would like to talk to a residential painting contractor about the painting needs of your home’s exterior, just give us a call for the best in-home painting services!